When corrupt Health Care Providers including hospitals, Hospice providers and nursing homes commit health care fraud, it is up to whistleblowers and American Heroes to file Qui Tam Claims and Whistleblower lawsuits to recover the millions of dollars the health care provider has stolen from Medicare, the United States or State Governments. More often than not Health Care Administrators, Providers, and Doctors, become aware when corrupt individuals are stealing from the system. If you are aware of a large health care company that is defrauding Medicare, the United States Government or a State Government out of millions or billions of dollars, contact Qui Tam Hospice and Health Care Fraud Lawyer, Jason S. Coomer, via e-mail or via our online submission form for a free review of a potential qui tam hospice or health care fraud claim . Law enforcement authorities estimate that health-care fraud costs taxpayers between $60 billion and $100 billion each year. Through Health Care and Hospice Qui Tam claims and Health Care & Hospice Fraud Lawsuits billions of dollars have been recovered from individuals and organizations that have committed health care fraud on the United States Government and State Governments. Health care fraud costs United States Tax Payers large amounts of money through Medicare, Medicaid, and other government health care programs. A critical aspect of the Health Care Fraud problem is that Medicare, the health program for the elderly and the disabled, automatically pays the vast majority of the bills it receives from companies that possess federally issued supplier numbers. Computer and audit systems now in place to detect problems generally focus on over billing and unorthodox medical treatment rather than fraud. “Our investigation showed a pattern and practice to falsely admit patients to hospice care who did not qualify and to bill Medicare for that care. This resulted in taxpayers bearing inappropriate costs. This settlement evidences the Department of Justice’s efforts to both protect the public monies and safeguard Medicare beneficiaries,” said Alice H. Martin, U.S. Attorney for the Northern District of Alabama. In 1986 as a result of increased government contractor fraud, Congress amended the False Claims Act in order to make it easier for whistleblowers to file claims against fraudulent corporations and individuals. The mischarging case is the most common type of qui tam healthcare fraud case that is filed. Mischarging cases generally involve filing false claims for goods or services that were not provided or delivered. A common mischarging scenario is where a health care provider submits charges for patients that never required these procedures or if the patient did not qualify for certain medical services such as Hospice. Other common Qui Tam Healthcare Fraud Mischarging Schemes are claims made to the Government for medical services not rendered to a particular patient or for services performed by an attending physician when the service was actually performed by a nurse or other provider that should have been billed at a lower rate. Originally, healthcare fraud was defined as deceptive means used by an organization to profit from government healthcare agreements. That definition has more recently been extended to include not only deception, but also unreasonable ignorance of the rules. Healthcare fraud charges stem from the qui tam provision of the 1986 Federal False Claims Act, which allows citizens to file a suit on behalf of the federal government against anyone who has participated in government fraud. Many believe that one of the government’s primary motivations for passing this act was to uncover violations of healthcare contracts; indeed, healthcare fraud has accounted for more than half of all qui tam damages recovered since the act was passed. 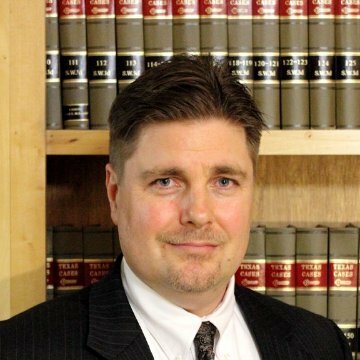 If you are aware of a Health Care Provider, Hospice Provider, Defense Contractor, highway contractor, large health care company, or other large contractor or subcontractor that is defrauding the United States Government out of millions or billions of dollars, contact Texas Hospice Health Care Fraud Qui Tam Lawyer Jason Coomer. As a Texas government fraud Lawyer, he works with other powerful qui tam lawyers that handle large governmental fraud cases. He works with San Antonio Qui Tam Lawyers, Dallas Hospice Fraud Lawyers, Houston Health Care Fraud Lawyers, and other Texas Health Care and Hospice Fraud Qui Tam Lawyers as well as with Qui Tam Lawyers throughout the nation to blow the whistle on fraud that hurts the United States.